Sonam Kapoor is one of the most popular Bollywood actresses who is best known for her diverse acting skills and her fashion sense. Sonam is the daughter of actor Anil Kapoor. She has been a part of some of the most successful movies and continues to impress people with her performances. She made her debut with Saawariya in 2007. While she was nominated for her role in Saawariya for the title of Filmfare Award for Best Female Debut. Recently Sonam’s best performance has been her 2016 Neerja which was one of the highest grossing Bollywood movies of the year. Aisha was a movie that was close to Sonam’s heart mainly because it was produced by her sister Rhea Kapoor. The movie was fresh and had a unique storyline which made Sonam stand out in her role. She pulled off her role with ease in the movie where she was paired opposite Abhay Deol. It was good movie that went down well with the audience. Delhi-6 was a 2009 Rakeysh Omprakash Mehra movie that starred Abhishek Bachchan and Sonam Kapoor in lead roles. This is a drama movie and is based in Delhi. This movie was all about people believing in and fearing superstitions. Sonam stole the show with her innocent smile and amazing performance in the movie. Her dialogue delivery and screen presence spoke a lot considering this was only her second movie of her career. She was nominated for three awards for this movie which proved her talent as an upcoming actress. Saawariya was an amazing love story directed by the legendary Sanjay Leela Bhansal. This movie was the debut for two of the biggest star kids in Bollywood – Ranbir Kapoor and Sonam Kapoor. The movie was beautifully shot and Sonam impressed everyone with her debut performance. She was nominated for various awards and won the Stardust Award for ‘Superstar of Tomorrow – Female’. 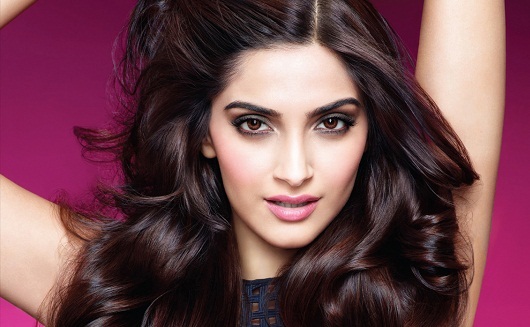 Sonam has grown leads and bounds since then and has gone on to become one of the best actresses in Bollywood. I Hate Luv Storys was one of the best movies that Sonam Kapoor starred in. It was produced by Dharma Productions and UTV Motion Pictures. The movie was shot in Queenstown, New Zealand and managed to do well at the box office. Sonam’s character in the movie was strong and she stood out with her performance. Soman was paired opposite Imran Khan in the movie and she was also nominated for her role. Thank You is a romantic comedy movie directed by the talented Anees Bazmee. The movie stars some of the biggest names in Bollywood in the lead role. The actors include Akshay Kumar, Bobby Deol, Sunil Shetty, Irrfan Khan, Sonam Kapoor, Celina Jaitley and Rimi Sen. This movie is all about three infidel married men with Akshay Kumar playing a detective. Sonam Kapoor was paired opposite Bobby Deol and her performance was truly note worthy. Despite sharing the screen with the most accomplished actors in Bollywood, Sonam’s performance was appreciated earning her a nomination for the Best Actress in 2012. Dolly Ki Doli one one of the best movies Sonam Kapoor acted in. The story revolved around how she cons men and fools them. Sonam did an amazing job in the movie and it was quite a success at the box office. The movie was produced by Malaika Arora Khan and Arbaaz Khan. Sonam was the only female lead and she was paired opposite Rajkumar Rao, Pukit Samrat and Varun Sharma in the movie. Sonam was nominated for best actress for Filmfare Awards and the Screen Awards. Raanjhanaa is one of the best romantic movies that was directed by Anand L. Rai. This movie saw the debut of Dhanush in Bollywood and Sonam Kapoor along with Abhay Deol in the leading roles. Dhanush was one of Sonam Kapoor’s strongest performances as an actress. Her innocence earlier in the movie and then her political character in the latter half were both perfectly portrayed by her. This movie earned her four nominations for Best Actress in 2014. Khoobsurat is a comedy romantic movie directed by Shashanka Ghosh. The movie stars Sonam Kapoor and Fawad Afzal Khan in the lead roles. This movie was centered around Sonam Kapoor and she delivered one of her strongest performances. She single handedly pulled the entire movie forward and made a huge impact with her comedy and emotional scenes. Her performance in this movie earned her the Best Actress award at the Stardust awards in 2015. Prem Ratan Dhan Payo was one of the largest grossing Bollywood movies in 2015. Sonam’s performance was outstanding and she took home the BIG Star Entertainment Awards for Most Entertaining Actor in a Romantic Role – Female. Sonam was paired opposite Salman in the movie which was one of the best movies in 2015. The movie was directed by Sooraj R. Barjatya. Neerja was a powerful biopic directed by Ram Madhvani. The movie is centered around Neerja’s real life story and is portrayed by Sonam to perfection. Her bravery and tenacity in the movie won her several accolades including the critics’ choice award and the ‘I Am Woman’ award for woman empowerment.